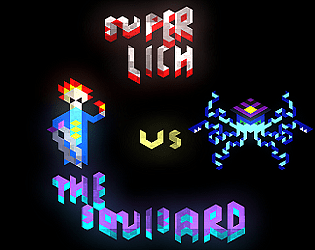 Use your phylactery blade to defeat the Squizard! A bit buggy, for example, I charged the sword, aimed my mouse at the Squizard, and clicked the mouse, but the lich didn't rotate the sword, and I wasted the spell, which was frustrating. Otherwise, great music, and great Squizard. Organic feeling sword-swinging is always a plus!